"Distributed optical fiber sensors applied to monitoring of two structures"
On 23rd February 2018, the paper titled “Application of distributed optical fiber sensors for the health monitoring of two real structures in Barcelona” by Antonio Barrias (ESR11), Gerardo Rodriguez, and his supervisors Joan Ramon Casas and Sergi Villalba got published online in the website of the Structure and Infrastructure Engineering, Maintenance, Management, Life-Cycle Design and Performance. The latter falls within the top quartile of journal publications in the building and construction subject. The paper can be downloaded at the DOI link of the publisher’s website provided with the full reference below. Abstract: The versatility and ease of installation of Distributed Optical Fibre Sensors (DOFS) compared with traditional monitoring systems are important characteristics to consider when facing the Structural Health Monitoring (SHM) of real world structures. The DOFS used in this study provide continuous (in space) strain data along the optical fibre with high spatial resolution. 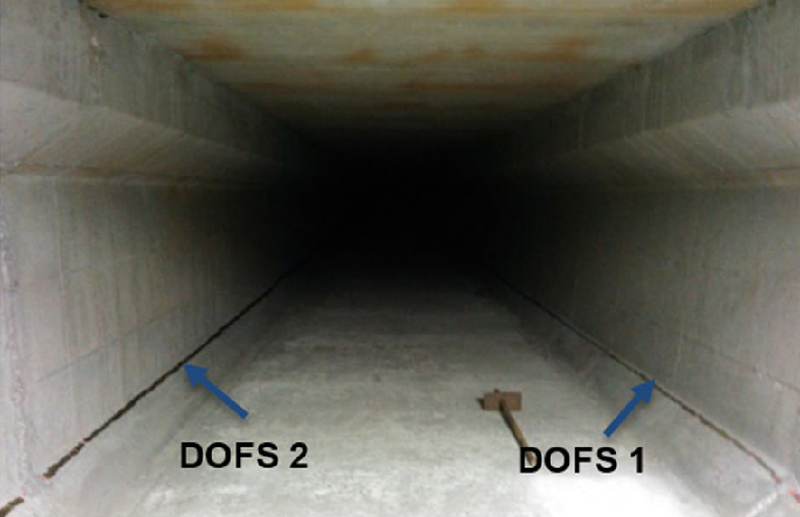 The main issues and results of two different existing structures monitored with DOFS, are described in this paper. The main SHM results of the rehabilitation of an historical building used as hospital and the enlargement of a pre-stressed concrete bridge are presented. The results are obtained using a novel DOFS based on an Optical Backscattered Reflectometry (OBR) technique. The application of the optical fibre monitoring system to two different materials (masonry and concrete) provides also important insights on the great possibilities of this technique when monitoring existing structures. In fact, the influence of strain transfer between the DOFS and the bonding surface is one of the principal effects that should be considered in the application of the OBR technique to real structures. Moreover, and because structural surfaces generally present considerable roughness, the procedure to attach the optical fibre to the two monitored structures is described. Keywords: Structural health monitoring; optical fibre; distributed optical fibre sensors; Rayleigh backscatter; optical backscatter reflectometry. 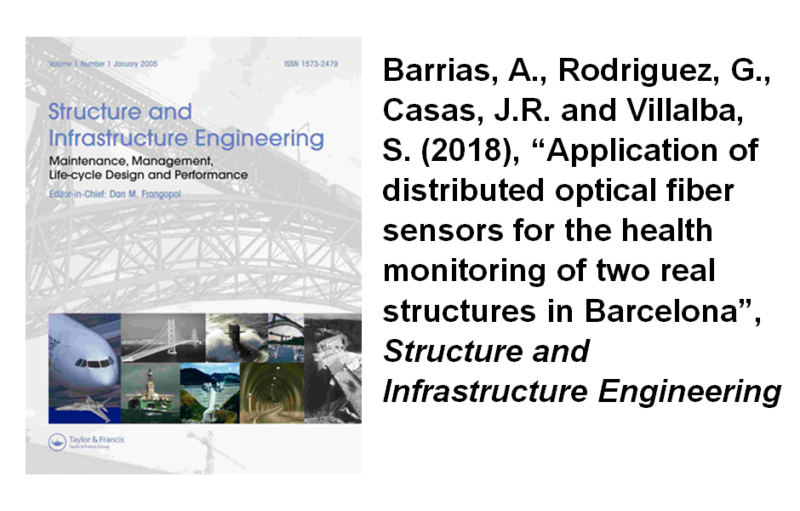 Barrias, A., Rodriguez, G., Casas, J.R., and Villalba, S. (2018), 'Application of distributed optical fiber sensors for the health monitoring of two real structures in Barcelona', Structure and Infrastructure Engineering, February.